I bought some wool felt from JoAnn's the other night in hopes of making some stockings to hang over the fireplace. Most of my inspiration comes from these Martha Stewart stockings, which my sister made several years ago. I think she even made all the variations listed there. I also like this Jonathan Adler stocking. 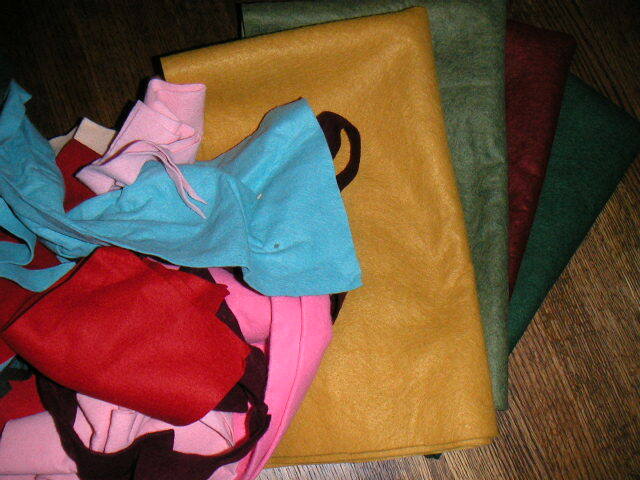 I got a great grab bag of felt from Alicia that will help with the stocking embellishments and such. I'm getting ready to cut out the pattern now!